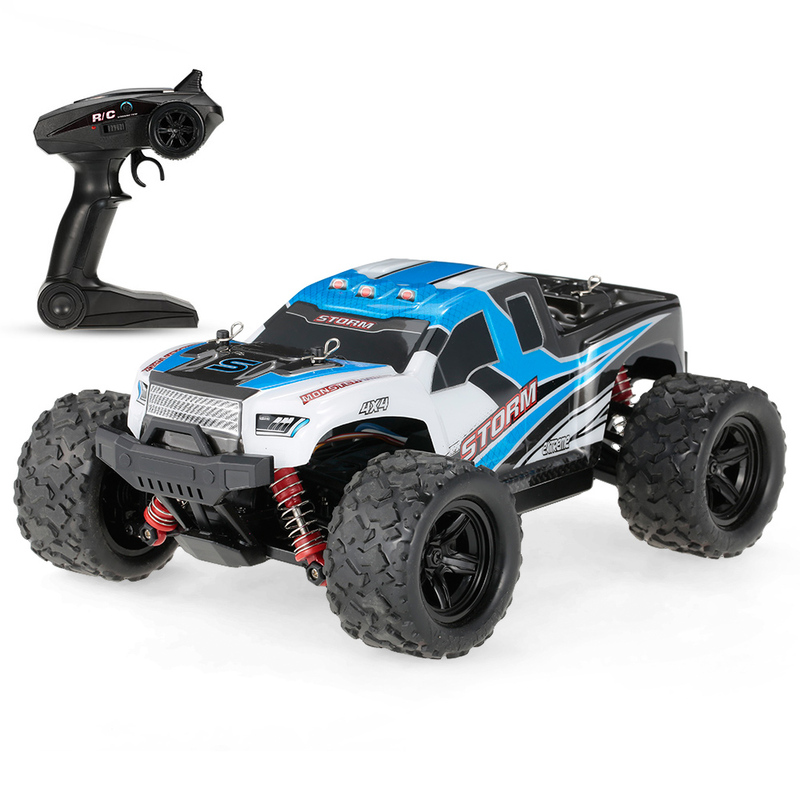 Enjoying real racing with the 1/18 4WD RC car, you can get started quickly and handle it like a master using the user-friendly remote control. 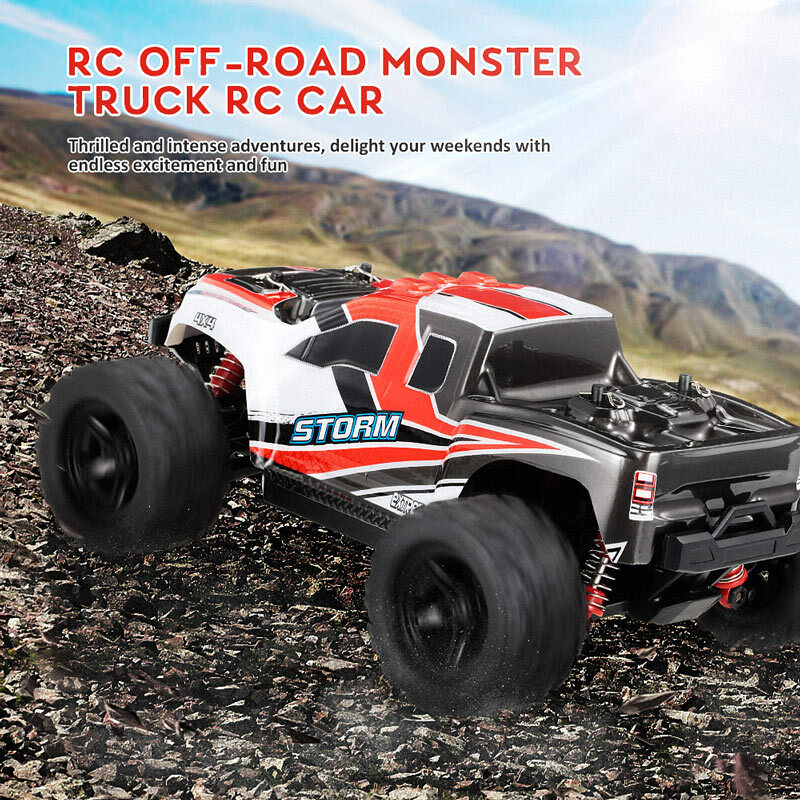 Competing with other advanced rc car lovers and enjoying the exciting racing in your backyard, in the woods or on the beach, etc. Running at full speed, let the car delight your weekends with endless excitement and fun. 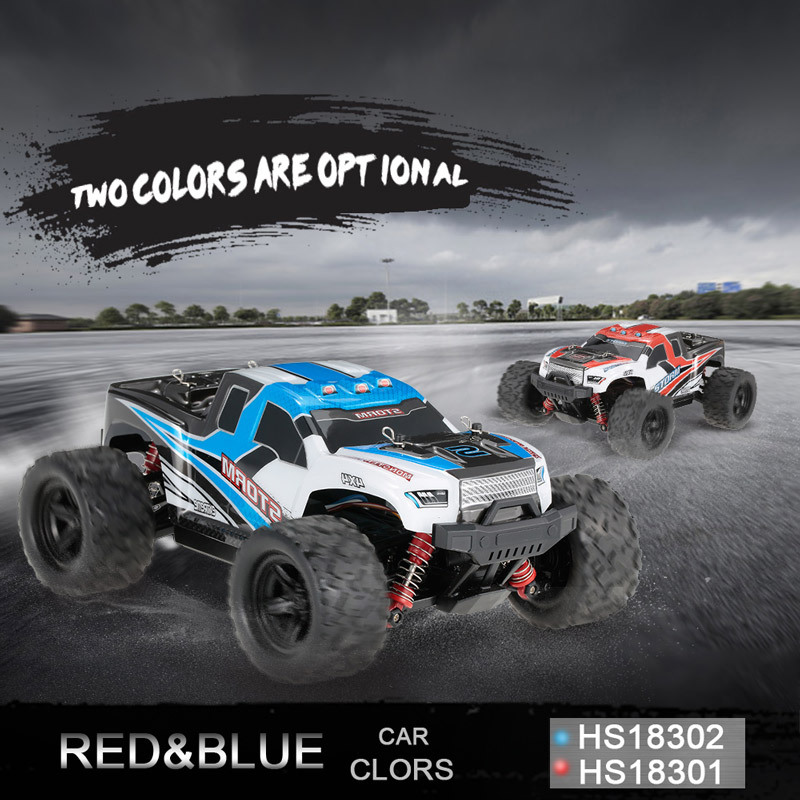 [Specified Shockproof Design]— Four wheels are installed independent suspension spring, let cross-country car body more flexible, it also play the shockproof function for the body to protect the electronic components inside the car body. 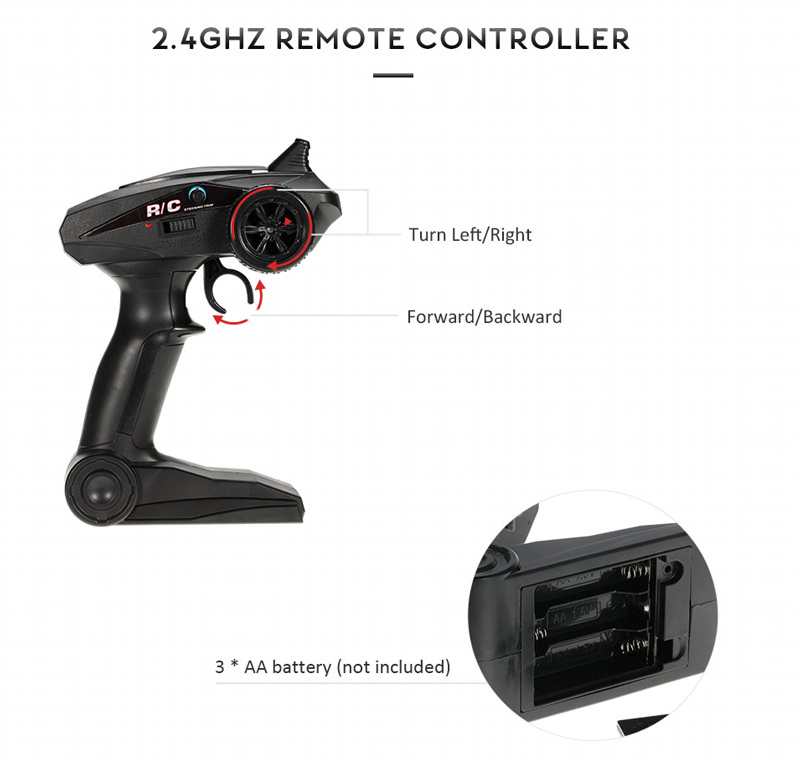 [Sensitive Directional Control]— With 2.4GHz transmitter, you'll never get any radio interference with this electric car. It is ready to race. 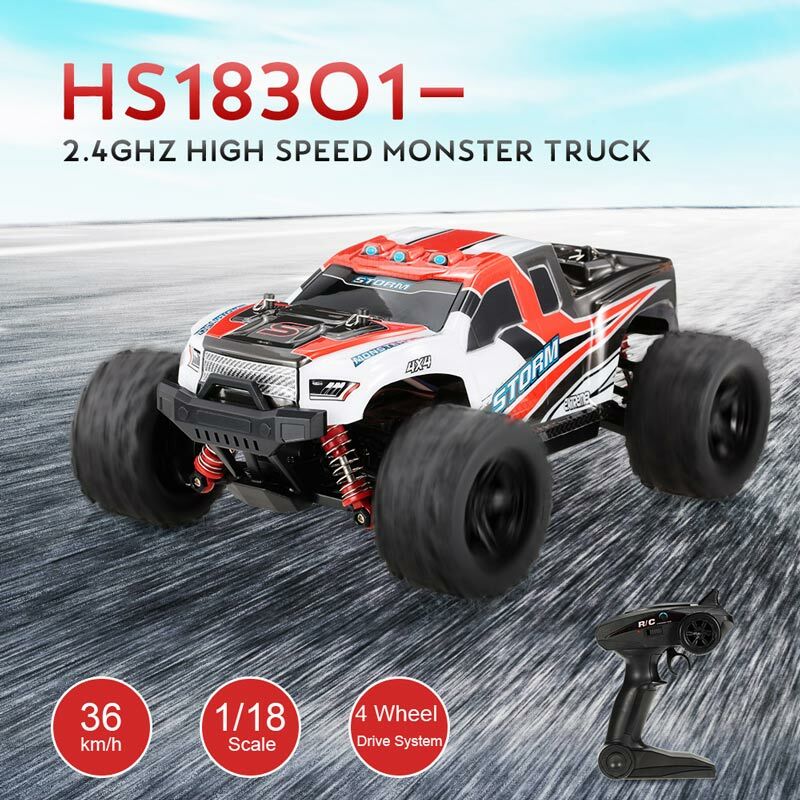 [Powerful speed]— This remote control truck is designed with durable, strong and powerful components to provide you the realistic racing and off-road game experience. 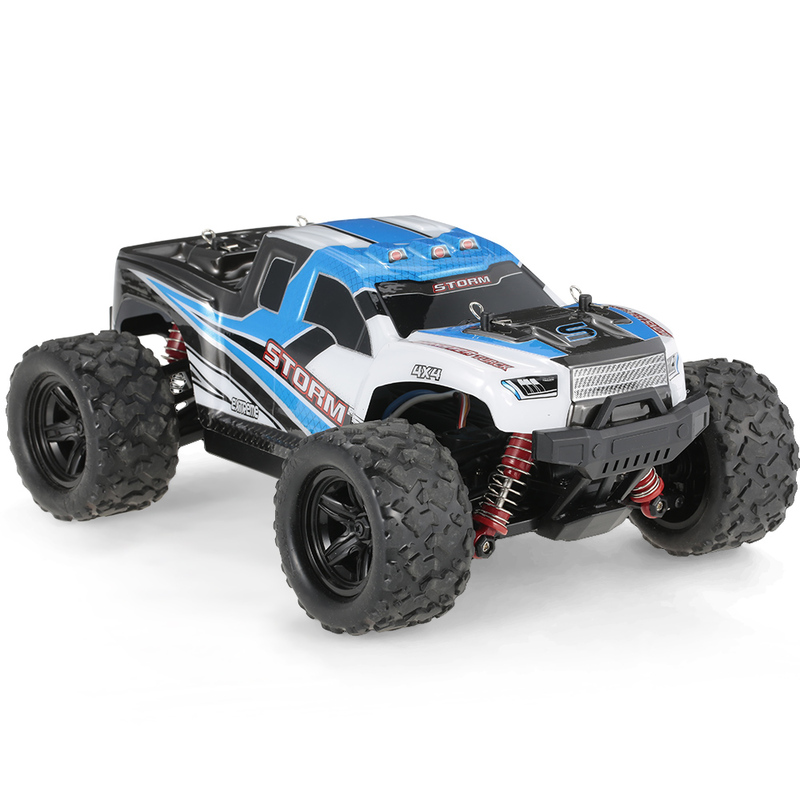 It has max speed: 36km/h powered by a 380 brushed motor. 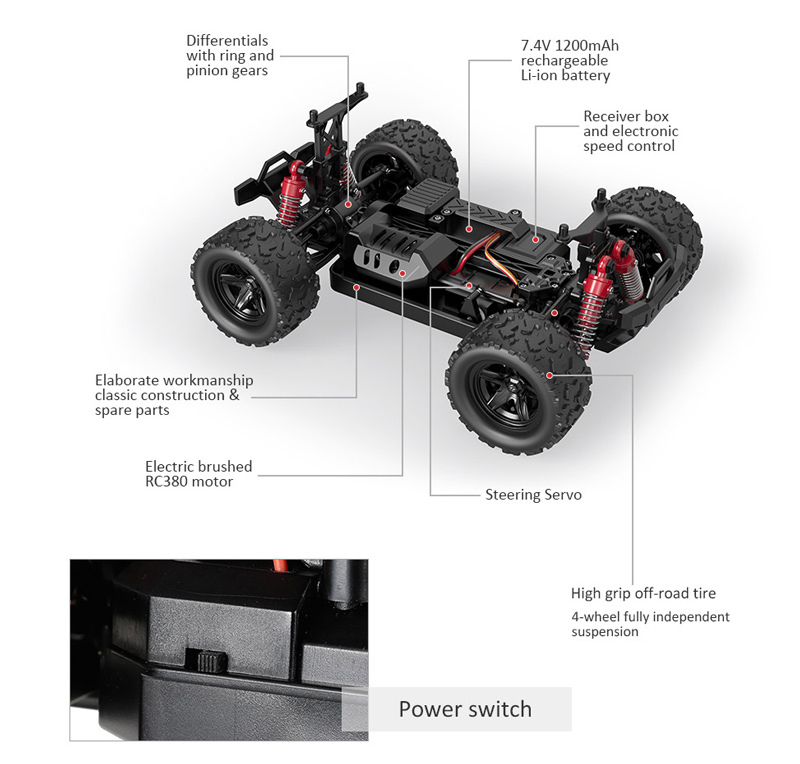 [Long-lasting Playing Time]— 7.4V 1200mAh rechargeable battery is available for longer playtime. It will last up to 20 minutes. 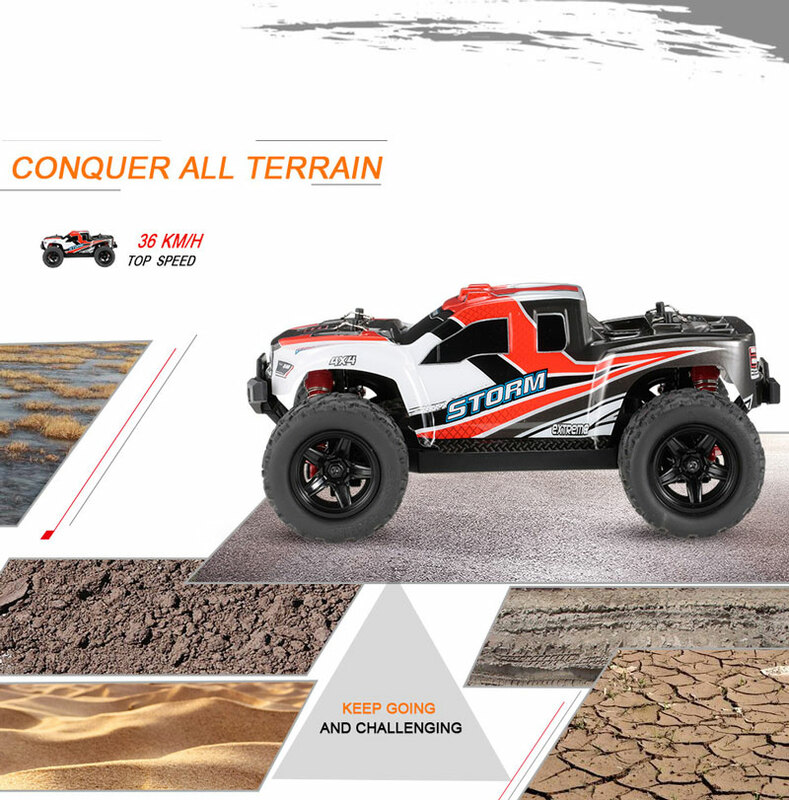 [High-quality Wheels]— Wheels are made from reinforced and elastic rubber, making the car suitable for rugged usage on any types of ground surfaces. With cross-country tread patterns, tires help the car to drive on wet and uneven surfaces, for example, soil, grasses, concretes, and more. 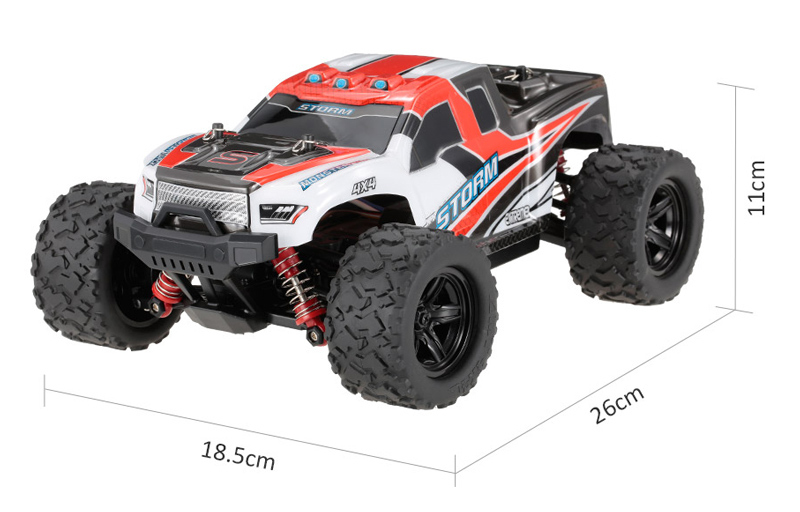 [Intelligence Developing Toys for Age 6+]—Newest 1/18 full-scale RC high speed racing car. Ready to run and no assembly needed. 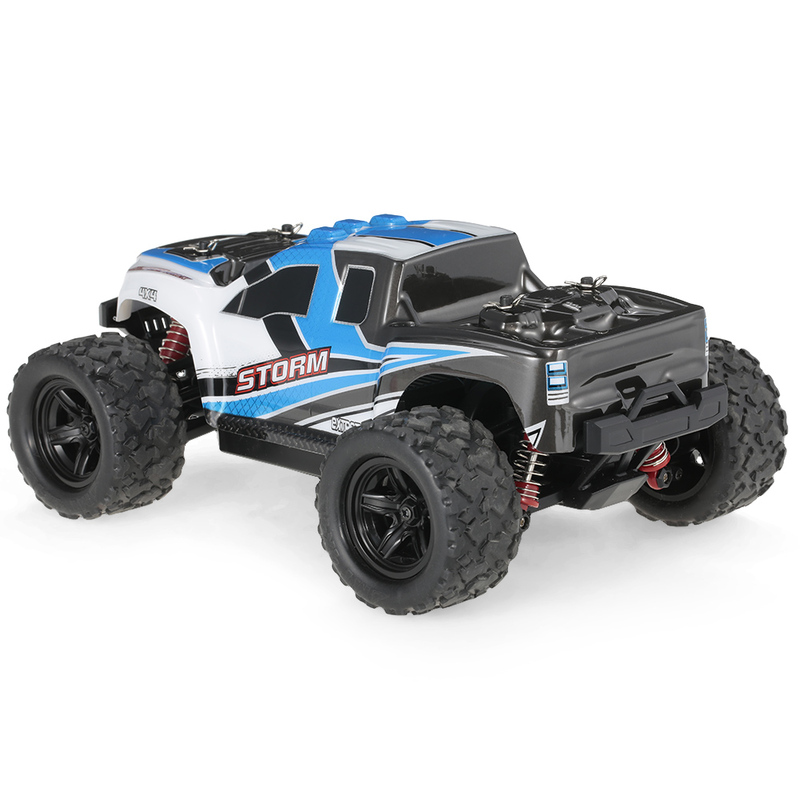 Best choice for adult-kids toys. The best birthday gift, party present & Christmas Gift. There may be some deviation due to manual measurement. 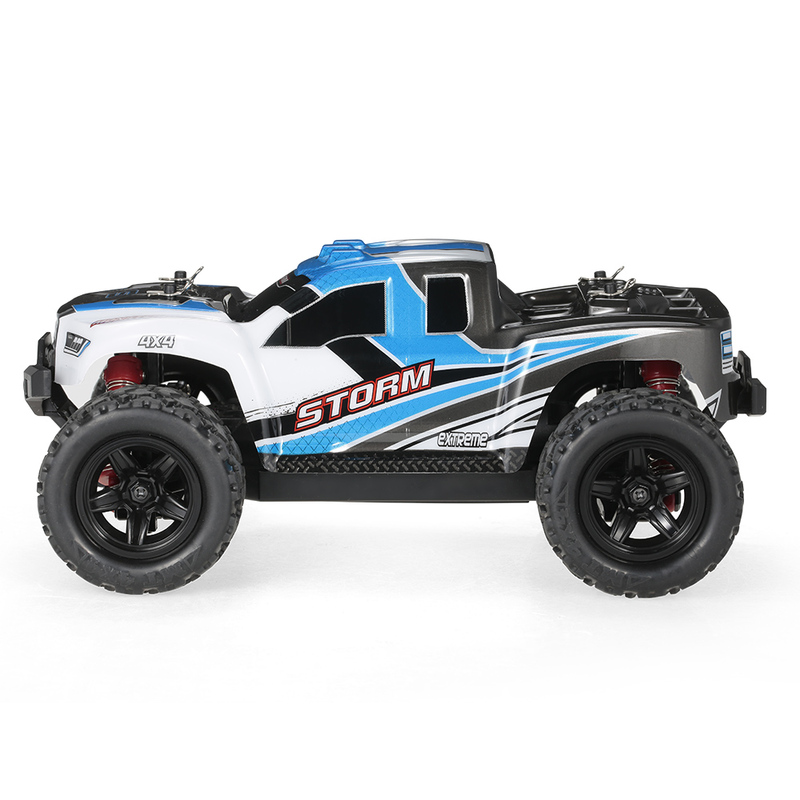 Notice: This toy is not suitable for children under 6 years old, keep it away from children. Don't over-charge, or over-discharge batteries. Don't put it beside the high temperature condition. Don't throw it into fire. Don't throw it into water.